Jan. 2 was the first day of school after a long winter holiday break. This was also the date of the DC Interscholastic Athletic Association (DCIAA) Championship Indoor Track and Field Meet for DC’s elementary schools. Despite the long winter holiday break that interrupted the regular training routine of Amidon-Bowen Elementary School’s young athletes, the girls’ and boys’ track teams brought their very best to the competition. 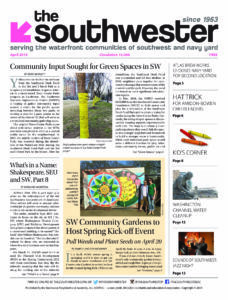 The students competed in one event after another from noon to 7 p.m. 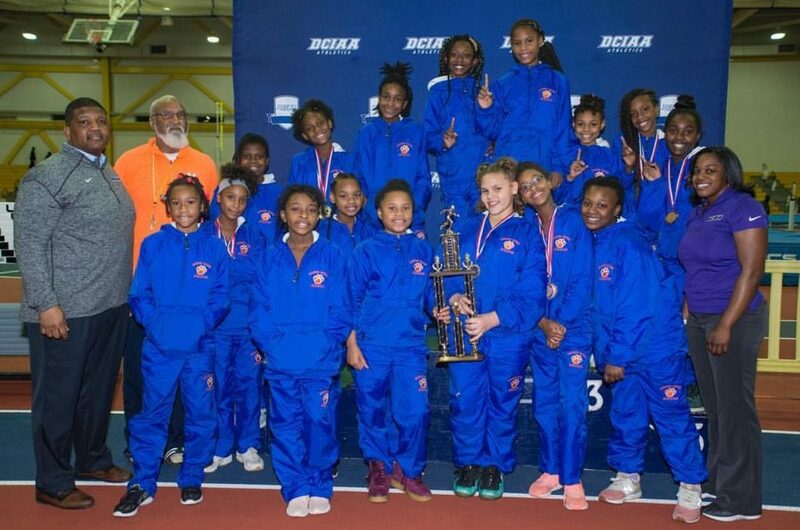 When it was all over and the cheering and competitive energy had calmed, Amidon-Bowen’s girls’ track team was declared the DCIAA Girls Indoor Track and Field Champion of the Year. This is the first time in Amidon-Bowen history that the girls’ track team has been the DCIAA champion. Though not all of the girls medaled, they swept the competition as a team. Collectively their high level of persistence paid off, under the hard work and commitment of their head coach, Coach Frank Briscoe and assistant coach, Coach Christina Shelton. The parents, staff and community celebrate the girls and boys of Amidon-Bowen’s track teams for their dedication throughout the year. These students put in hard work mentally and physically each day. At the ages of 8, 9 and 10 years old, many of these students are not only academic achievers, but also participants on the championship cheerleading team, soccer team, math team, choir and many other groups. They balance it all with the support of their families and school staff. We wish them luck in their next season.